September 15, 2015 September 15, 2015 bcalvanocoachingLeave a Comment on Weekly Angel Oracle Card Reading for September 14th through the 20th. Weekly Angel Oracle Card Reading for September 14th through the 20th. Join me on my next live radio show on BlogTalk http://www.blogtalkradio.com/letsasktheangels on Saturday, September 19th at 4pm EST. 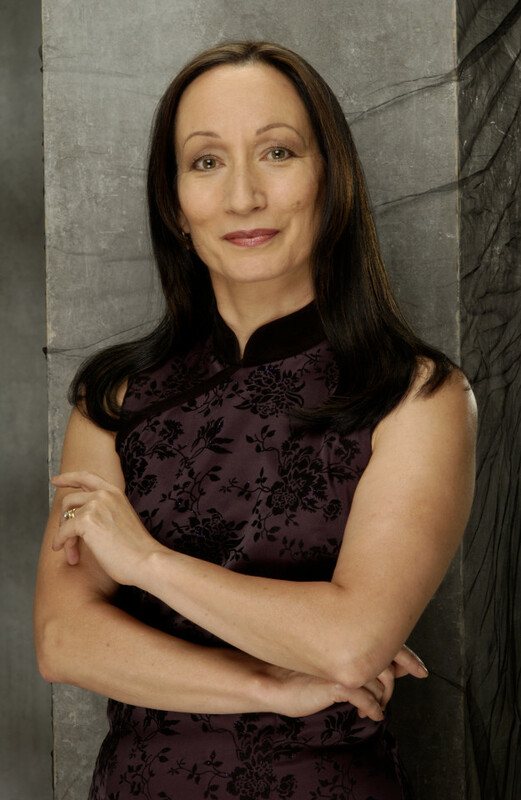 Call in at 424-675-6837 for a reading. For the early part of the week we have a message from Archangel Sandalphon, “Love”. 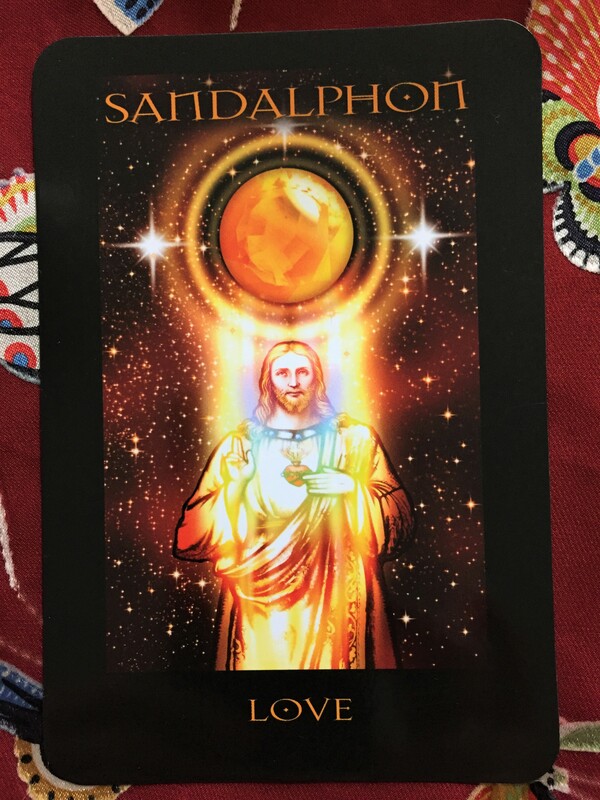 Sandalphon is with us to support us in connecting to the Divine love that is present the Universe. We may have been suffering, struggling criticizing and judging ourselves and others lately. The beautiful golden ray of Christ is available for us all to clear away all darkness allowing ourselves to be fully illuminated with love. Sandalphon connects us to peace and profound reverence and respect. Whatever issue or circumstance you may have been dealing with allow love to be the answer. Love yourself and others. Find compassion and forgiveness and connect to that beautiful angelic part of yourself that is golden and filled with light. Chant Om Na Ma Shivaya to connect to your loving peace. For the middle part of the week again we have Archangel Sandalphon with the message, “Evolution”. 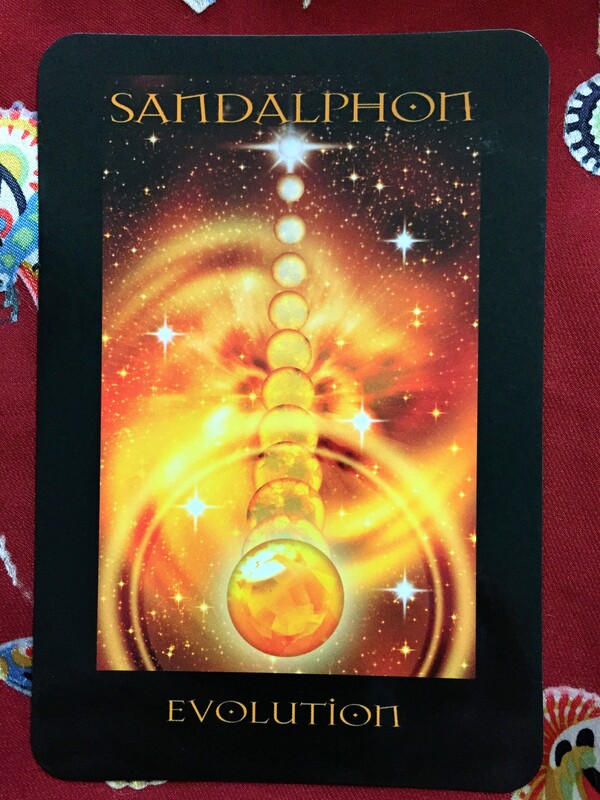 Sandalphon reminds us of the powerful journey we have been on this year especially with changes and transformations that have occurred. There has been much spiritual growth in the past few months. Especially if you have been experiencing discomfort and uncertainty Sandalphon reminds us of our expansion and evolution. By acknowledging and recognizing yourself as an enlightened being you can embrace your courage and true divinity. Fear and insecurity are replaced by the beauty of the triumphant course you have embraced. Chant Om to connect to the Universe and allow your future glory to emerge. For the end of the week and weekend we have a message form Archangel Zaphkiel, “ Surrender”. 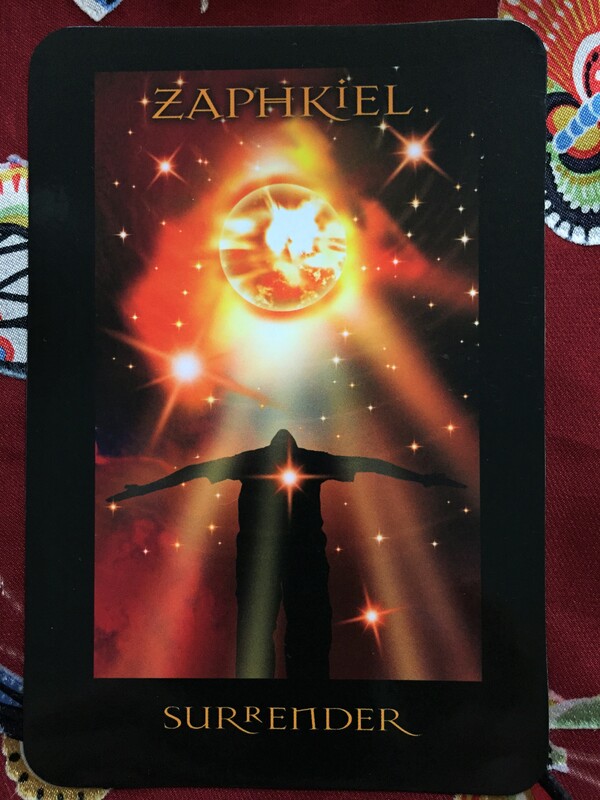 Zaphkiel is present in our lives showing us that the access to true happiness and peace is to relinquish control of our expectations. It is only in surrendering that we experience true miracles and magic occurring. Whether it be deepest love or creative genius, these are found only through our complete surrender. Our mind and ego exhausted by fearful thoughts and worry are freed by letting go letting God take care of our situations. We take the appropriate actions that we can without hesitation or delay. We then we give it all over to God and the angels to assist us. Chat Haw to support you with this path. This week the Archangels Sandalphon and Zaphkiel are with us. They help us to bring complete love into our hearts again, allowing the golden ray of Christ to clear and fill our souls. We see clearly the evolution of growth we have created and bask in the joy of the wondrous opportunities at hand. We take the act of surrender as the noblest act to allow for the greatest experience of joy, ecstasy and creativity. Bring love into your heart, acknowledge your beautiful evolution and surrender to life’s true magnificence! Have a great week! Next Weekly Angel Messages for September 21st through 27th.